Dragon House is a licensed restaurant offering Chinese cuisine is receiving rave reviews despite the fact that it only opened in Dungannon since April 2004. Have you got Google Earth on your computer? If so, then download the Google Earth Map of Dragon House. Is this the wrong position for Dragon House? If you think so, then modify its position. Excellent service, excellent food, very pleasant staff, just can't fault it. Very nice. Pleasant staff. Quick service. Returning next weekend. 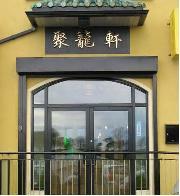 This is a brilliant chinese restaurant, I live just outside Dungannon and always go to the Dragon House when eating out! The service, food, and atmosphere are all excellent. Would highly recommend! A really superb vegetarian curry..............until i got a piece of ham in the rice!!!!! I found the service to be excellent and the waiting staff to be very well informed. The scallop starter was first-rate combining the sweetness of the scallop and the heat of the spices to perfection. Again the main course of sizzling beef chow mein was excellent. My only complaint is that I don?t live close enough to enjoy this fine fare more often. Webmaster should update this page, cause info is 60 percent wrong.